Rail-splitter Capital Management – According to a recent SEC filing, Rail-splitter Capital Management made the decision to invest more money into Amazon in the fourth quarter of last year. During the quarter, the company added 3,382 Amazon shares to its portfolio, bringing its total ownership in Amazon to 24,610 shares valued at approximately $13,586,689. Eagle Asset Management – Another big money firm that has made a decision to invest in AMZN recently was Eagle Asset Management. According to a recent 13F filing with the SEC, in the fourth quarter, the company purchased 5,955 shares of AMZN with a value of approximately $4,024,000. The truth is that the firms mentioned above and others are in charge of investments for tons of people. As a result, these firms spend massive amounts of money and man power on research to ensure that they are making the best decision for their investors. 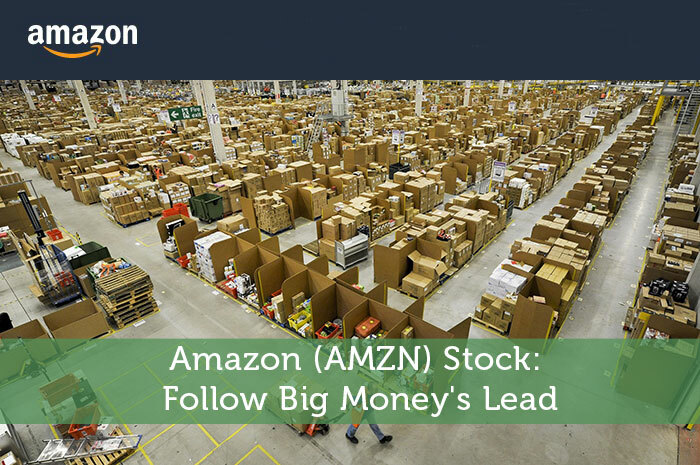 So, when we see them making such large investments in a stock, in this particular case, AMZN, we can expect to see future gains in the value of the stock. Following big money is generally a good idea. However, the simple fact that big money is spending money on AMZN isn’t the only reason I’m expecting to see gains from the stock. In fact, it’s likely one of the smallest reasons. The truth is, there are tons of good bits of news surrounding AMZN which will likely turn into gains. First and foremost, the company’s growth in Amazon Prime has been nothing short of amazing. On top of that, we’ve seen incredibly positive news with regard to Amazon Web Services, Amazon Prime Fresh, and several other ventures the company is part of. All in all, I’m incredibly impressed with the moves we’ve seen from the company over the past 5 years or so. If you can’t tell by the information I’ve provided above, I have a very bullish opinion of what we can expect to see from AMZN. The reality is that the company is making all of the right moves in order to push its stock in the right direction, and at the moment, it is enjoying the fruit of its labor. So, looking at today’s dip, you can be concerned, or you can see it for what it really is… an opportunity in the making! I finally broke down and purchased Amazon Prime last night for the TV Show Black Orphan (It is fantastic!). After seeing all the opportunities to watch content online, I think the number of Amazon Prime subscribers is going to increase quite a bit over the next few years. If they can get shows that are not on Netflix they are going to get tons of new Prime subscribers, imo. is the market which runs on trust. Moving in a right direction and hard work is always the most important key to success, Amazon is headed towards it and sure again, will get its reputation.